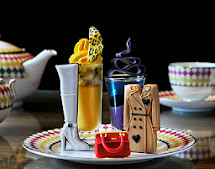 The new Spring / Summer 2012 collection sees designers such as Dolce & Gabbana, Jason Wu and Valentino grace the Berkeley’s tea stand as Prêt-à-Portea adds a creative twist to the classic elements of the traditional English afternoon tea with cakes and pastries resembling the latest catwalk designs for the style conscious. 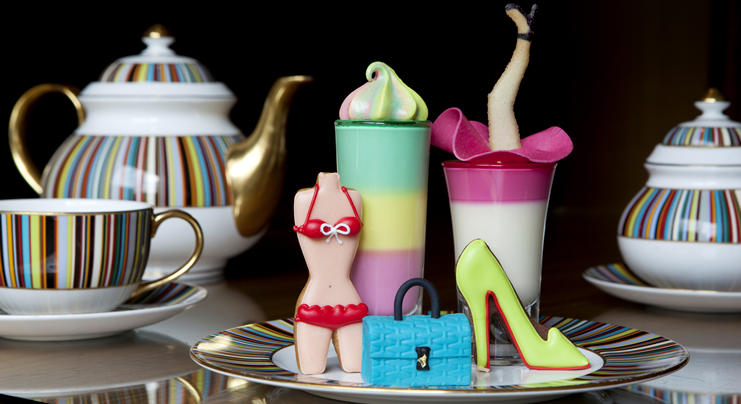 Prêt-à-Portea is served in the Caramel Room daily from 1pm to 6pm. A mouth-watering selection of miniature savoury skewers, taster spoons, elegant canapés and tea sandwiches. The new menu is amazing! I had it during my recent London vacation and I still look at my pictures of it and smile. My favorite treat on the menu was the Gucci mousse. The golden beads are Pop Rocks and the first bite was an unexpected explosion. Hi Rebecca, Thank you for your comment you have made us very excited to try the new menu !